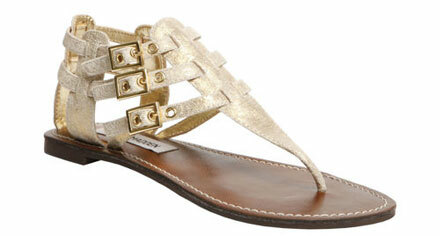 Summer is heating up, time to shop some of the hottest summer 2010 styles from Steve Madden! To look trendy this season, go for something bright colored – blush is extremely popular with Steve Madden shoe designs this summer. According to Steve Madden, summer 2010 must-haves are flat sandals, pumps (both patent leather and suede), cork platform wedges and flip-flops. Flat sandals can go gladiator with multiple straps, yet they don’t cover much of your foot and don’t go high over your ankle. Summer’s must have is a pump. Both patent leather and suede pumps are really hot. Ruffles as decoration are more than welcome. Again, blush pumps are a must-have wardrobe item! Cork is huge. Firstly, it’s ultimately comfortable to wear. Secondly, it looks really cute. Go for cork platform wedges for the best summer look! And finally, go for flip-flops. Three-straps designs are simple yet totally wearable with dresses, shorts, skirts, and rompers. You can wear them to the beach, the bar, and the boardwalk, or while running around town. You can wear this footwear with something hot and summer ready. 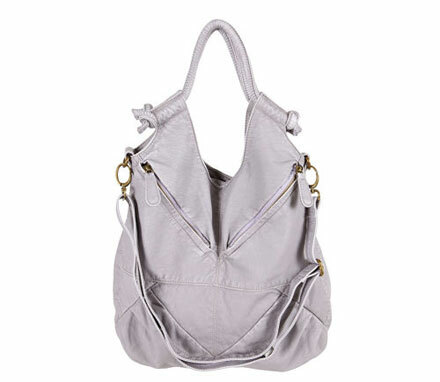 A hobo handbag is a way out if you’re looking for a roomy but trendy purse. To complete the stylish summer 2010 look, go for a flirty little dress that’s ultra-feminine and fashiony all at once. Make sure it’s totally wearable for lots of occasions. 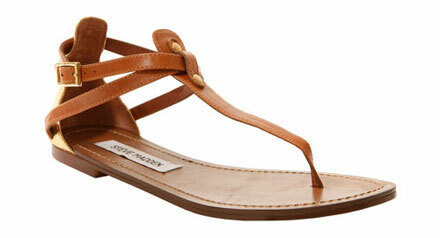 Steve Madden: Shop Now. www.stevemadden.com.